DotActiv Academy is DotActiv’s education portal where you can learn about all things retail and category management. From product placement and pricing strategies to merchandising techniques and the category management process, its there. 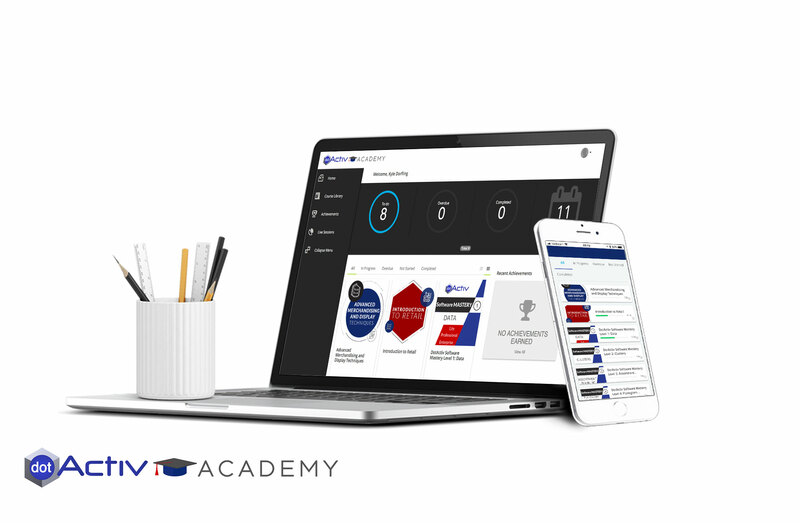 More than that, DotActiv Academy is also where you can learn about our category management software in detail. Our various courses break down the intricacies of our software into accessible bite-size chunks that makes it easy to understand. We have also noticed a trend where people prefer to create their own time frame when learning. They don’t want to be rushed or pressured or have to sit in a classroom. With that in mind, we built DotActiv Academy as an entirely self-service online tool. That means you can gain and certify your new knowledge at your own pace. Once you’ve finished any of the retail courses within DotActiv Academy, which all include completing an assessment, you’ll receive certification. Why is DotActiv uniquely able to offer retail training? In the 20+ years that DotActiv has been offering category management software and services, we’ve worked with many leading retailers and suppliers from across the world. During that time, we’ve gathered valuable insights into how to improve not only in-store experiences but also overall store performance. Also, we don’t want to keep this information to ourselves; we want to share. Considering that category management can come across as a complex topic, we also want to be part of the drive to educate the retail industry and show it’s not as daunting as you may think. Since officially launching our online education portal, we have fielded many questions about our academy as well as the courses therein. Below, we've unpacked the top 10 questions that we are asked the most. If you can’t find the question below that you want answered, you can get hold of us here. 1. Who should enrol in DotActiv Academy’s retail courses? 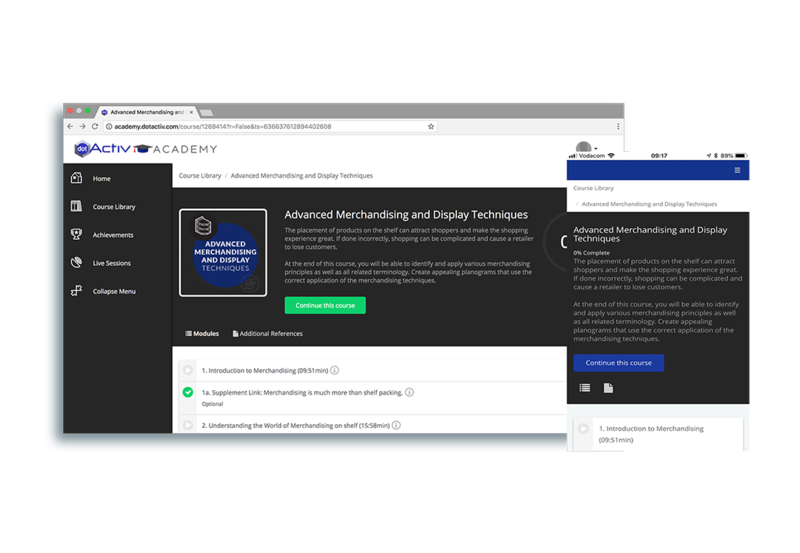 If you work in the retail industry, then DotActiv Academy and the courses therein are explicitly tailored to meet your needs. Let’s look at two of our retail courses as an example. The first is an Introduction to Retail which focuses on both product planning and pricing design. In this short course, you’ll get to grips with the different factors you need to consider when placing stock on the shelf. That means its perfect for you if you’re involved in the shaping or planning of the in-store shopping experience. Meanwhile, if you’re a merchandiser who needs to brush up on your merchandising knowledge, our second course is for you. Once you’ve completed our Advanced Merchandising and Display Techniques short course, you’ll have a good understanding of the merchandising principles and various methods available to you. More importantly, you’ll know what it takes to create visually appealing planograms that attract and capture the attention of shoppers. 2. Do you need to have a relevant qualification before enrolling? The answer for any DotActiv Academy course is a resounding ‘No’. If you’re interested in enrolling, you can go right ahead. We go so far as to say that you don’t even need to be working in the retail industry to enrol. Of course, we would insist that you are interested in retail or are about to join the retail sector. After all, the last thing we’d want you to do is to enrol in one of our retail courses and then not use your new-found knowledge for it’s intended purpose. 3. In what format are DotActiv Academy’s retail course materials? When we first thought of DotActiv Academy and decided to make it part of our core business, we came across a trend around modern-day studying. This trend indicated that learners prefer to study at their own pace. In other words, they want to create their time frame and not feel rushed or under any unnecessary pressure. With this knowledge in mind, we set about creating our course materials. On top of that, we debated how best to present them. And, we soon realised that only one route made sense. That's if we wanted to cater to today’s learners and their busy lifestyles. Thus, when enrolling in any of our courses, you’ll receive the materials as online videos that you can watch whenever you want. You’ll also receive supplementary course material in the form of downloadable PDF’s that you can store and keep. 4. Must you complete the retail courses in order? You can complete our retail courses in any order that you wish. It’s more important that you choose the one that suits your learning priorities and is in line with your role. 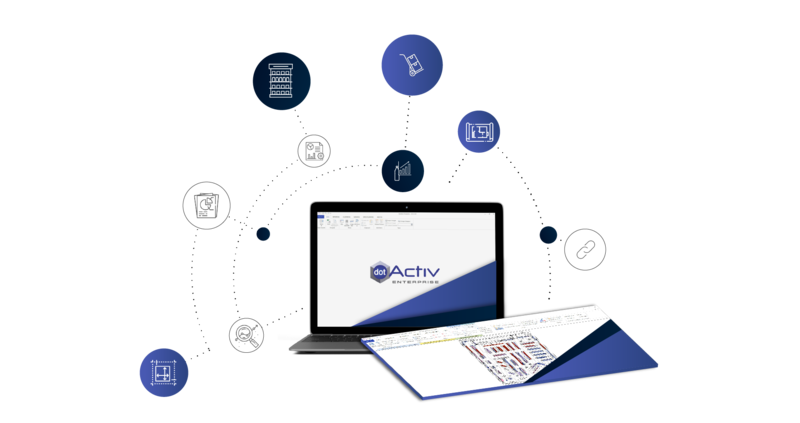 If you’re a licensed user of DotActiv software and you complete our Software Mastery courses, which detail how best to use the software, we would recommend you complete them in order. That’s because doing them in a particular sequence will allow you to not only understand the software quicker but get up and running sooner too. 5. Are you allowed to get a preview of any retail courses before you buy? Besides the retail course information that you’ll find on our online store - which you can view here - there is currently no available option to get a preview before you purchase. But don’t let that put you off. Considering our retail experience, which spans over 20 years, and our drive to maintain a reputation as a leading category management solution and retail training provider, we’ve ensured that any content within a course matches industry standards. You can, of course, contact our Sales Department should you have any questions about a specific retail programme that we offer through DotActiv Academy. That’s not to say that we won’t consider creating introductory videos or something similar in the future. The beauty of an online course is that its ever-evolving, both with regards to content, and the way we present it. 6. Once you’ve bought a retail course, when do you receive access to DotActiv Academy? Immediately. Once you’ve purchased a retail course from DotActiv Academy and your payment has cleared, you’ll receive a system generated email from us thanking you for your purchase. Included in this email will be a link, which gives you immediate access to DotActiv Academy. By clicking on the provided link, you’ll be directed to your profile where you’ll find your course already loaded and waiting for you. Once you’ve logged in, you can get started with your course at any time. 7. Once bought, how long do you have to complete the course? There are many courses that you’ll find both offline and online that includes a time deadline. If you don’t finish them within a specified period, you can’t complete it. That can be frustrating, and especially so if you have other responsibilities and can’t complete it in a time frame that’s dictated to you. But that’s not what you’ll get if you enrol with DotActiv Academy. Once you’ve purchased one of our courses, you can complete it at your own pace. A typical course should take you two hours to complete, excluding the final test you must write. 8. Do you have access to the course materials online after you’ve completed any course? Just because you’ve finished a course that doesn’t mean we then stop you from accessing any of the course materials. Instead, any course that you have completed remains on your profile. And there are two good reasons why we’ve structured it as such. The first reason is that we continually revise and refresh our courses with new material and updated videos. This is at no additional cost to you. Once you’ve purchased a course, you’ll have access to these updates. The second reason is that you may want to recap any information that you might have learnt but forgotten. If you want to rewatch a product placement video found within our Introduction to Retail course, for example, you can do that. 9. Do you receive any form of certification once you have completed a course? Yes. Upon completion, an official certificate with your name on it is sent to you, stating which course you’ve passed. Please note, the passing grade for any test through DotActiv Academy is 70%. If you don’t pass it on your first attempt, you can retake the test immediately. If you fail it for a second time, you will have to wait 24 hours before retaking it. 10. When is DotActiv Academy going to unveil more retail courses? As it currently stands, DotActiv Academy hosts two specific retail short courses - Introduction to Retail and Advanced Merchandising and Display Techniques. But we aren’t going to stop there. We have plans to unveil more retail courses every year. These courses will also be updated continuously to ensure that what you’re learning through DotActiv Academy always matches industry standards. There is also the Software Mastery Levels 1 to 6, which focus exclusively on the DotActiv software for our clients. These are also continuously updated as our software improves and evolves to meet our client’s needs. 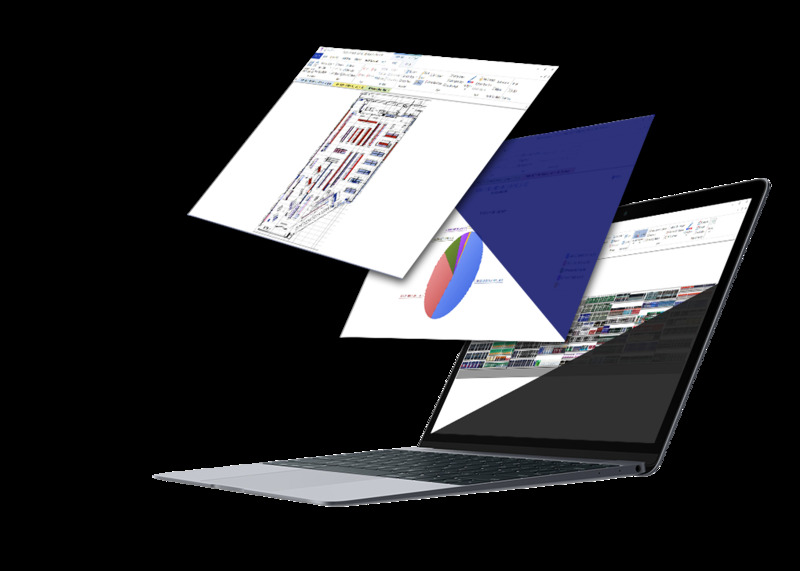 To get the most out of DotActiv’s software, you need to learn everything there is to know about each and every feature. 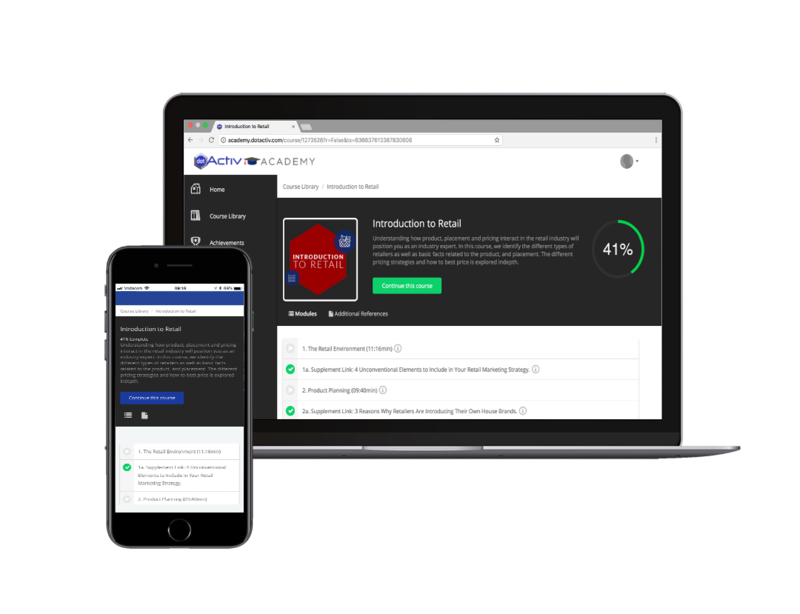 By the time you have completed all 6 mastery levels, you’ll be completely confident in your ability to implement category management best practices using DotActiv’s leading software. You will also get an understanding of the core theory behind each section of the software. That means that no matter if you have an internal retail space planning team or outsource the function, you'll benefit. Mastery Level 1: Data. 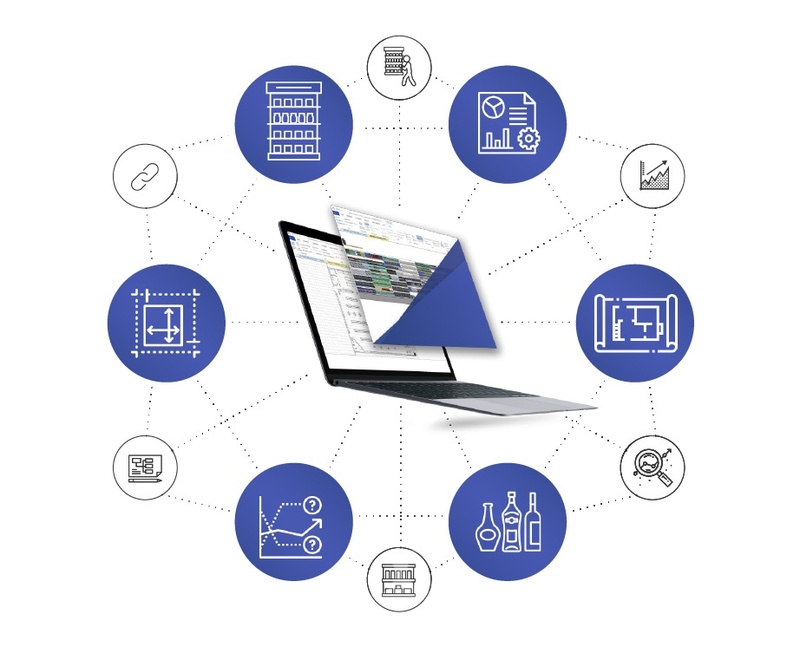 Analytically evaluate data to design product assortments, planograms, and floor plans. Mastery Level 2: Clustering. Characterise clustering and implement the methodology. Mastery Level 3: Assortment planning. Implement assortment plans so that you can build profitable product ranges. Mastery Level 4: Planograms. Learn how to design and critique planograms. Mastery Level 5: Floor planning. Understand the value of floor plans as well as the information required to create one. Mastery Level 6: Analysis. Analyse and interpret your retail data before and after planograms. DotActiv Enterprise holders receive access to everything DotActiv Academy has to offer. Meanwhile, DotActiv Pro and Lite license holders will gain access to DotActiv Mastery Levels 1 to 6. One-on-one training and technical support is also available for all software customers. While software training is essential so that you know how to use DotActiv’s software, it’s just as crucial that you learn the theory behind category management too. That's especially true if your want to build a career in retail. As a side note, we written about what a good retail training course should include. On top of that, we've also written about why retail training is a must, both for suppliers and retailers. Listed below are our courses that are currently available. New courses are continuously added. This short course gives you a thorough introduction to retail with a specific focus on product planning and pricing design. By the end of this course, you’ll be able to, among other things, classify the various types of brands; identify factors considered before pricing; and discuss the primary considerations when placing stock on the shelf. This short course teaches you the basics of merchandising, best practices for the placement of products on shelves, and visual merchandising methods. By the end of this merchandising course, you’ll be able to, among other things, identify and apply key merchandising principles; and know how to create a visually appealing planogram that captures shoppers’ attention.